Salman Khan, Anil Kapoor, Jacqueline Fernandez, Bobby Deol, Saqib Saleem and Daisy Shah, have formed the Race 3 cast, making it one of the biggest multi-starrer movie of 2018. By what has left people in wait of Race 3 film is Salman Khan. This dialogue by Daisy Shah has been trolled mercilessly across social media. It has become the fodder for memes and troll makers. Race 3 Director, Remo D’ Souza might have never imagined that one dialogue to make so many laugh! “My mother is my mother, but only cause of my father. Just like my father is my father only cause of my mother. This sounds like nonsense but actually it's not." He was successful in making him dumb as always, but he joined the league of trolls for this Race 3 dialogue. If you do not hear this dialogue, from any of your friend, in any mutilated form like – ‘My sutta is my sutta, its none of your sutta’, you haven’t lived the Race 3 trailer. You can be declared dead if you haven’t listened to the special Race 3 songs. Interestingly, sources reveal that the lyrics of the romantic song from Race 3 “Selfish” starring the stars Salman Khan, Jacqueline Fernandez, and Bobby Deol has been penned downed by Salman Khan. This wasn’t enough for the special Race 3 song. It is also found that the song is sung by Salman’s rumored girlfriend, Lulia Vantur. God knows how badly India wants Salman Khan to get married! Anil Kapoor is the only consistent player in all sequels of Race. As he was a detective in previous installments of Race 3, this time he will play a new avatar character. Anil Kapoor, the ever-young actor, has performed awe-striking stunts in Race 3. The newly made father-in-law of Anand Ahuja is expected to make a grand entry in this Race. Want more of Race 3 news? The most important part of any action-thriller is its climax. The makers of Race 3 have shot the ending scene in Abu Dhabi, with one of the biggest shooting units ever. But god knows why director Remo D’ Souza is in pressure ahead of Race 3 release? Is he not confident? They have shot multiple sequences in multiple countries - from the jungles of Thailand to the Floating market and Rose garden in Bangkok. They have the biggest star cast including Salman Khan and Anil Kapoor ever, Remo has left no stone unturned, then why? The team chose to blow real cars instead of adding special effects. This has been the highlight of all Race 3 updates. “It's tricky (to get the action right). Sometimes, you go overboard and when you go realistic, they (audience) prefer the earlier films' action. So, we needed to be careful. Action has to look genuine, believable. It can't look farcical and we can't make you laugh." 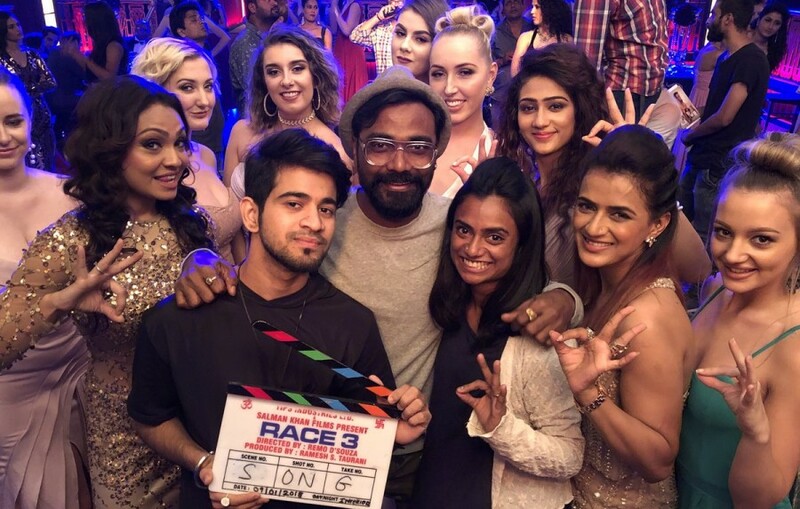 Race 3 is the third film in the league but is a different version of all Races. Tom Struthers, the legend who has choreographed stunts for Hollywood movies like Inception (2010), The Dark Knight (2008) and X-Men: First Class (2011), undertakes all the action sequences that have been shot in the film. We really can’t question the action in the film now. Race 3 is being touted as one of the biggest action-thrillers of 2018, for a genuine reason. Race 3, the new entry in Race franchise, is set to release on 15th June 2018. But you can find is all over the headlines right now! While It Is Time to Worship 9 Goddesses, Do We Really See The Lesson It Has To Convey?